We like to start our homeschool day off by using a little bit more energy, stretching and relaxing with some yoga. My girls started trying yoga when they saw me doing it one day and really enjoyed it. Bonus for them that they see some of the stretches from gymnastics in the yoga. But the KidsYoga Child Starter Bundle is the perfect gift to get them their ow gear. 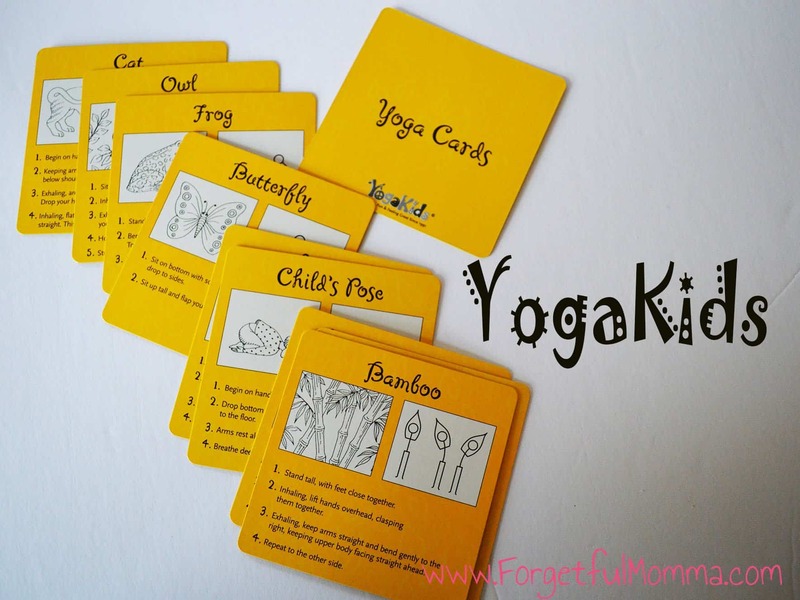 The perfect bundle to introduce your child to yoga the fun YogaKids way! Let’s start with the mat – just because Momma has one, is reason enough for our kids to want their own, its perfect being their own size. The Garden Game is awesome! for lack of better words. I love playing it with my kids. Not only are the cards great for learning the names of the poses and how to do them, but it also let’s their imaginations explore yoga by creating their own pose. The DVD teaches your child how to do the poses, increasing strength and flexibility. Fitness Fun Tunes CD keep the fun and learning along with the rest of your day, playful, education songs about animals, nature, fitness and more. 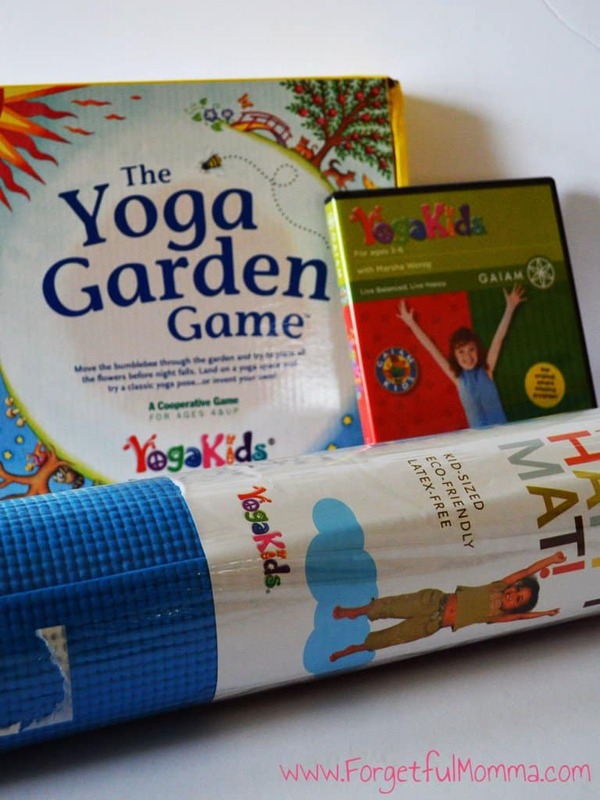 YogaKids doesn’t just offer these bundles, they offer a lot more! Yoga supplies, clothing, books, games, music, DVDs, and tools for schools! Disclosure: I received a box for the purpose of this review. I did not receive compensation and the review is 100% honest.